Verken Chiang Rai-tempels en kunst op een dagtour van Chiang Mai naar Wat Rong Khun, Wat Rong Sear Tean en het Baan Dam Museum. 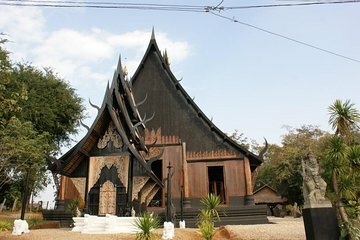 Het combineren van drie bestemmingen is een geweldige manier om het meeste uit uw reistijd te halen terwijl u de kenmerkende architectuur van Chiang Mai ontdekt, en de tour omvat deur-tot-deurvervoer, alle entreegelden en lunch voor een handige, inclusieve dag. Great tour and excellent guide! Ours ended up being a private tour as we were the only two people, and while it was a very early day it was a spectacular one. 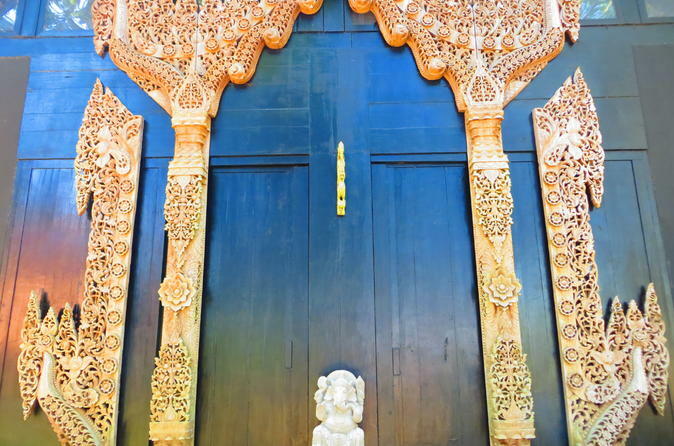 The temples were stunning, especially the Blue temple! The tea plantation was picturesque and serene, pretty much what you would expect a tea plantation to be like. Our guide, was prompt, informative and very accommodating. The only downside to this trip is that Chiang Rai, being so far away from Chiang Mai 2.5 - 3hr drive, there is too much time spent travelling and not enough time at the sites. It felt like a rush to go from one site to the next in order to get them all seen and back to Chiang Mai at a decent time. I would suggest doing an overnight at Chiang Rai if you really want to take your time to explore.